Even though I am still travelling, I can still dream of places that I’ve yet to visit in my lifetime. Goa, remains on my top 10 places to go to. India – colourful and diverse, rich in culture. A popular destination is Goa, in the west. Basking in heat, the best time to visit is out of monsoon season, unless you’re a fan of torrential rain. March and April are the hottest, with rain in June to August. Dry January is fantastic, at a sultry 30°c. Flights, both direct and indirect, are regular. Despite the distance, and therefore slightly higher air-fare, save money, and turn it into rupees, by taking advantage of money-saving extras, such as Gatwick parking. With shuttles direct to the terminal, you’ll save time and money. 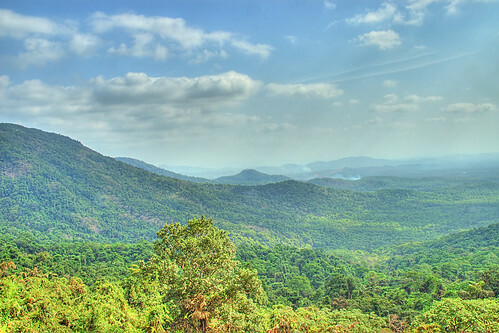 Surrounded by the Western Ghats range, Goa is a hotbed of nature, with an abundance of wildlife. If nature is your thing, this well-known biodiversity hotspot is for you. The chance to experience wildlife and nature in its natural habitat is a must-do, and Cotigao wildlife sanctuary in the south ticks all the boxes, with breathtaking nature trails. Try Salim Ali bird sanctuary on the island of Chorao. Easily reached, just jump on the ferry from capital city, Panaji. Speaking of the capital, Panaji is brimming with fantastic architecture, much of it Portuguese and baroque in style, with a pretty main square – ideal for people-watching. This bustling city acts as a transport hub to many cities – jump on a bus and explore. The budget-busting extras available to ease your way to the airport give you more spends, enabling you to truly experience this colourful part of the world. Check out Luton Airport Parking when flying indirect, with connections in Mumbai. There are many historical sites to visit, including two UNESCO world heritage sites. The many forts around the area are stunning. Jump on a car ferry to Tiracol in the north, and visit the imposing 17th century fort – one of many. 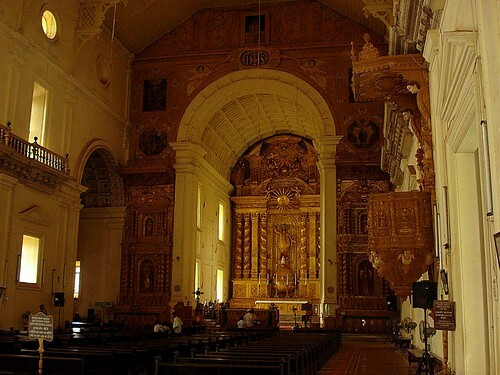 Maybe visit Bom Jesus basilica, another famous site, holding the remains of the Patron Saint of Goa, St Francis Xavier. Not enough? There are many museums, including the Goa State Museum, telling the colourful history of the state. Temples are plentiful, many ornate and intricate. You can visit a Hindu temple, just remember to observe etiquette, e.g. removing footwear, and don’t disturb anyone praying. You’re sure to have a serene, moving experience. With its stunning coastal location, Goa is famous for spectacular beaches. Anjuna beach has an enviable position, near the imposing Chapora fort. Particularly popular with youngsters, and famous for the alternative, with hippies and seers visiting. The Anjuna band also play every night, entertaining revellers. For the more mainstream, head to sandy Miramar beach, 3km from the capital. Popular, with a long stretch of bars and restaurants, there’s a wonderful view of Fort Aguada from here. Of course, plentiful water-sports are available, perfect for cooling off. Indian food is famous world-wide, so whilst you’re in this fascinating part of the world, make sure you try some authentic cuisine. Goa is famous for its locally grown rice, coconuts, pineapples and mangoes, so many dishes contain these tasty ingredients; however fish is popular, and rice with fish curry is a must-try. If fish isn’t your thing, try Khatkhate, a tasty vegetable stew. There’s so much to see in Goa that a rest on a stunning beach will be a necessity! Make your travel arrangements smoother by booking extras, such as airport hotels, or airport parking. If travelling from the midlands, Birmingham Airport Parking is fantastic value. With all this in mind, what are you waiting for? Book your exotic break today! Can’t wait to go my next time in Asia … thanks for the guest post!